See How Invisalign Can Transform Your Smile! This is an extremely popular system, originally from the USA. We are proud to offer the state of art Invisalign treatment at SmilleVille Orthodontics with nearly invisible braces for adults and teens to straighten their teeth. 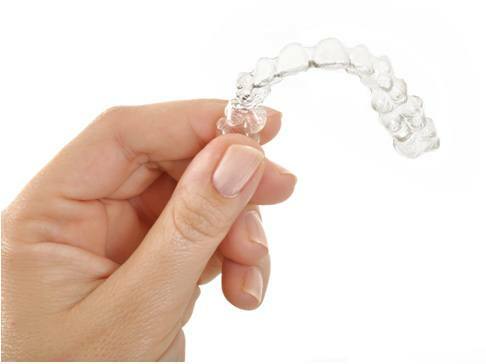 Sometimes known as invisible braces, these clear aligners gently move the teeth into their desired position. Unlike standard braces, Invisalign is removable, meaning you can take it out to eat, drink and clean your teeth. It is virtually undetectable, which is what makes it so popular with adult and teenage patients who don’t want their treatment to be obvious to others. Gone are fixed brackets and wires. Instead, the Invisalign brace uses a series of removable aligners to gradually and gently move your teeth into the desired position. Better still, the aligners are completely transparent, so they’re really inconspicuous – even up close. For the best results it’s important to wear your aligners for between 20 and 22 hours a day - just take them out for eating, drinking and to brush and floss your teeth. Luckily for you, this means you can continue to enjoy all your favourite foods throughout your treatment, as well as keep on top of your oral hygiene routine: ensuring a healthy, beautiful end result. Deep bites - where your upper teeth overlap your bottom teeth (some overlap is desirable). How discreet are Invisalign aligners? While Invisalign aligners aren’t invisible they’re very inconspicuous. In most cases you’ll be able to have conversations with friends and family without them even realising that you’re wearing your aligners. You may have a slight lisp at first, but you’ll quickly get used to your aligners and should be talking clearly and confidently within a few days. Invisalign aligners have been designed with your comfort in mind using ‘transparent polycrystalline alumina’ - a clear, smooth material that incidentally was designed by NASA. Invisalign also has the benefit of having no metal wires or brackets, which can sometimes cause discomfort at the beginning of treatment. How often to I need to wear my aligners? You need to wear your aligners for around 20 to 22 hours a day, but you can take them out for eating, drinking, brushing and contact sports.